Hello lovelies! Hope your weekend was great! Today, I am styling this amazing poncho tunic from Dottie Couture Boutique. It is lightweight and flowy and perfect for me, since I am preggo! I am obsessed with the embroidery and the pom pom details of this top. I think it would look great paired with white skinny jeans for a different look also! Thank you so much for stopping by! Happy Friday and first day of August to everyone! Where has this summer gone, seriously? 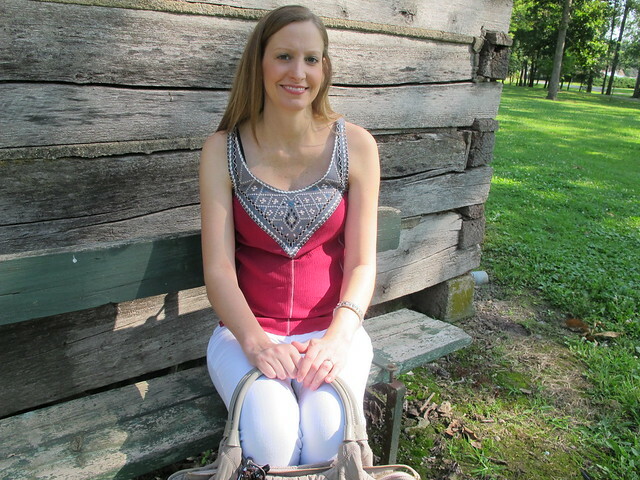 Today, I am styling this embroidered tank that I purchased at Maurices. I just love the detail on this tank. It is lightweight and perfect for summer. I paired it with white skinny jeans today, but I have also worn it with black shorts and jean capris. There are lots of options with this piece. This week marks week number 22 of pregnancy! This weekend, the hubs and I are planning to go and look at baby furniture. I am ready to start working on the nursery! I hope that everyone has a great weekend! Thank you so much for stopping by!